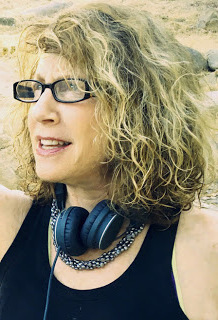 In this exclusive audio interview Emmy Winner Charlotte Robinson host of OUTTAKE VOICES™ talks with Director Donna Deitch about being honored by Provincetown Film Society on October 13th and the sequel to her classic film “Desert Hearts”. The Provincetown Film Society is presenting an exciting line-up of film screenings with special filmmaker appearances and events during Women’s Week that runs from October 6th to 15th. Among the highlights of the ten-day showcase of films made for, about and by women is the 31st anniversary re-release of Deitch’s groundbreaking film “Desert Hearts” that will have multiple screenings throughout the week. Deitch will be honored at the 3rd Annual Women Filmmaker’s Residency brunch on Friday, October 13th from 11A to 1P at Harbor Lounge, in Provincetown, Massachusetts. Other featured films in the series are Catherine Gund and Deresha Kyi’s “Chevala” based on the life of musical pioneer and queer icon Chevala Vargas who captured the heart of Frida Kahlo and the imagination of Pedro Almodovar. Also Robin Kampf’s short film “Love Wins” that tells the story of two women now in their eighties Jan and Emily who met and fell in love during a time when doing so was strictly taboo. They'd travel to Provincetown each year where for one week would be able to live their true lives. Actor Blaire Baron will also be on hand to present her provocative short titled “The Candidate” and local favorites Andrea Myerson’s “Clambake” and Maggie Rizzi’s “Ann Maguire: The Story of an American Hero” will also screen. We talked to Donna about the 31st anniversary re-release of “Desert Hearts” and her spin on our LGBTQ issues. After producing and directing “Desert Hearts” the landmark hit of the 1986 Sundance, Telluride and Toronto Film Festivals, Donna Deitch became an established TV director when Oprah Winfrey hired her to direct the ABC Emmy nominated 4-hour mini series “The Women of Brewster Place”. From there Donna directed movies for cable including HBO's “Prison Stories, Women on the Inside” and Showtime's “Devil's Arithmetic” starring Kirsten Dunst and Brittany Murphy for which she won an Emmy for her direction. For decades she has been directing the best of one hour television drama including numerous episodes of “Grey's Anatomy”, “Private Practice”, “NYPD Blue”, “ER”, “Law and Order: SVU”, “Heroes”, “Crossing Jordan”, “Murder One” and others. The Provincetown Film Society that is honoring Deitch on October 13th is a nonprofit dedicated to continuing the founding mission of the Provincetown Art Colony to provide a welcoming, nurturing, and inspiring environment for boundless and authentic creative exploration in film. What a thrill to hear Donna's voice and to get this update about PTown Film honoring her. I'm still an ardent "Desert Hearts" fan from the filming to the soundtrack. Thank you so much for this interview.